People who hate it, call it “pollution.” People who love it, call it “rollin’ coal.” We’re talking about the plumes of black smoke that come pouring out of some diesel pickups. 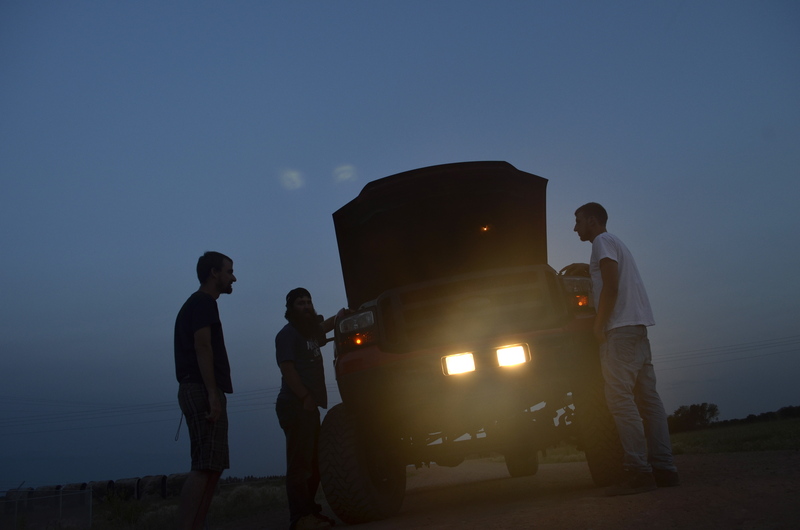 These pickup truck owners are retrofitting their rigs to allow for unburnt diesel fuel to spew from a tailpipe or vertical stack during a fast acceleration. When smoke pours from a pipe or stack, the unburnt diesel is thick and black. An interview with Mark Pyatt of Killer Diesel Performance about the young men and women who love to roll coal in oil country. Top Photo: Calvin Fields in Williston, North Dakota. 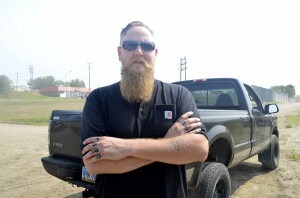 Bearded Man Photo: Mark Pyatt in Williston, North Dakota. Other Photos: Calvin Field and friends in Williston, North Dakota. I intend to contact the section of the Department of Justice that targets Illegal Emisson Control Defeat Devices about the business mentioned in your podcast. If it is not yet illegal to convert engines to emit toxic soot by some stretch of logic, I intend to advocate for such criminalization. Coal Rolling is not a harmless pastime like making Drano bombs in your back yard but the use of a motor vehicle to commit aggravated assault on strangers, pedestrians, bicyclists and other drivers not much different than throwing beer bottles at people from a moving vehicle. Having been blinded and driven off the road by this activity has made it very clear to me that this is criminal in intent. The ignorant disregard for the law and civil behavior and the glorification of this criminal behavior and going so far as to call it a movement makes you complicit in these criminal activities. Good going North Dakota Humanities Council. The weight of these trucks puts them in a under regulated loophole. My 2nd cousin in the Cleveland area has done this to his truck. In Missouri you are called a “Hoosier” for such backward country antics.